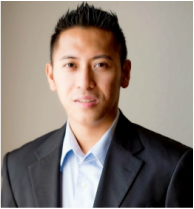 BENJIE DEVERA is the Co-founder of DT Socal Properties LLC and a licensed Realtor in the State of California. Benjie grew up in Eagle Rock and has lived in different parts of LA in the past 20 years. He knows the diversity of Los Angeles, and the importance of location in real estate. Benjie's expertise is on residential and commercial properties. He has worked with buyers, sellers and investors in Southern California. His specialty is in the Metropolitan Greater Los Angeles area such as Eagle Rock, San Marino, Pasadena, Hollywood, Downtown Los Angeles, Alhambra, Santa Monica, San Pedro, Los Feliz and Silver Lake. Benjie received his Masters degree in Engineering from the University of Southern California (USC). He has also worn our nation's uniform proudly as a military officer, and has learned the importance of discipline and focus, as he translates those skills in the real estate business. He is a licensed REALTOR in the State of California. He is an active member of West San Gabriel Valley Association of REALTORS, California Association of REALTORS, and the National Association of REALTORS.